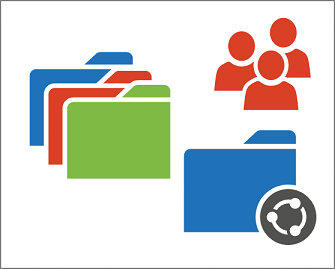 Sharing documents and files is all about collaborating with greater efficiency. To make a document easy to share, store it in one location, and then share it with others. This ensures you are working with the latest version. It also eliminates the need to search through e-mail and folders on a network drive to find the latest version. Sharing also enables document collaboration through coauthoring. Once an Office document (Word, PowerPoint, Excel, and OneNote) is stored in the cloud, you and others can edit it simultaneously when working with the document. Coauthoring a document helps speed completion of the document and meet deadlines.